Mr. BJ. 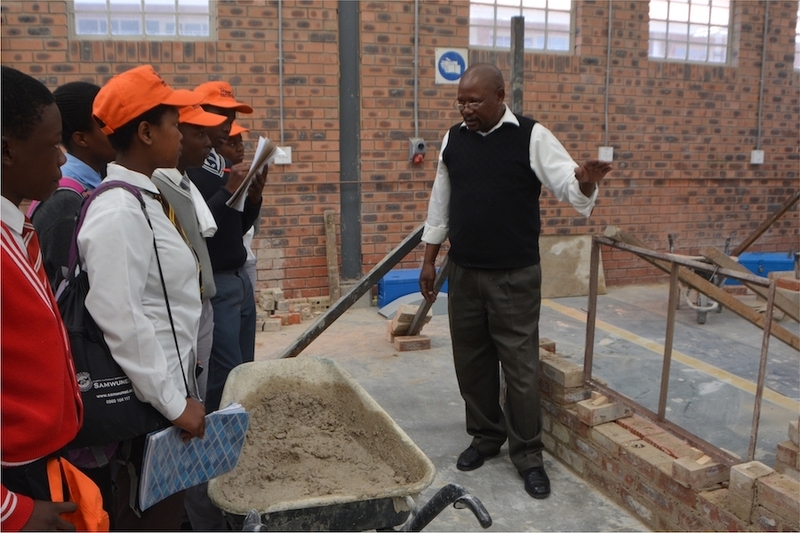 Nxumalo demonstrating building practical tasks to Grade 9 school pupils who showed interest in taking up Civil Engineering as a career. As part of Majuba TVET College’s corporate social investment programme, the Marketing Department decided to launch a Campaign for Youth Day called “Siyikusasa loMzansi” (We are the Future of South Africa) for the June 16 Youth Day celebrations. 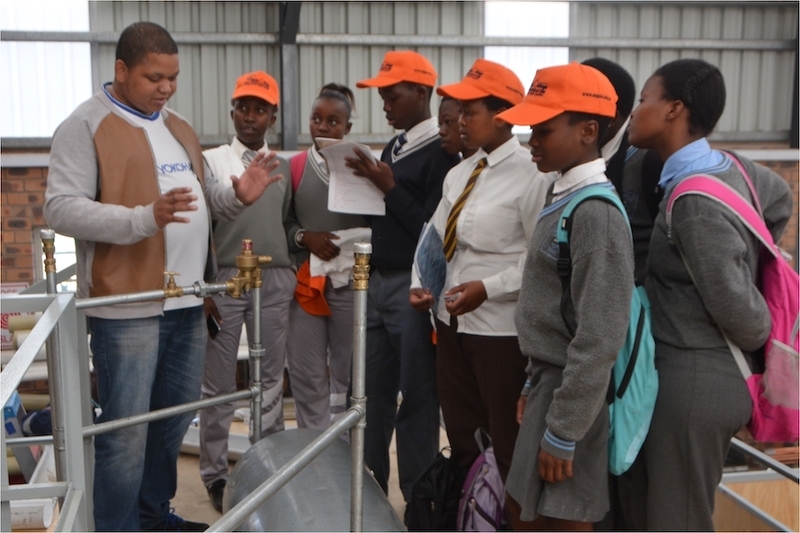 On this commemorative day, 10 different High Schools from Newcastle, Madadeni and Osizweni were invited by the College to provide their Grade 9 learners an opportunity to experience working in different careers for the day. The day got underway with Career Guidance and motivational talks being given to the learners by professionals and ex-students of the College who were now successfully employed at high profile companies. Thereafter, each learner was given a chance to choose a career which interested them and were then placed in a workshop or office related to that specific career they had chosen. This was an incredible experience for them as they worked for the rest of the day in a career that they felt they could pursue in the future. Furthermore, all learners were assigned to a mentor (Senior lecturer, Training Officer or Manager) who went the extra mile to coach them on the career they had shown interest in. The different careers ranged from: Electrical Engineering; Boilermaking; Motor Mechanics; Fitting and Turning; Civil Engineering; Agriculture; Hospitality; Finance; Human Resource Management; and Office Administration. 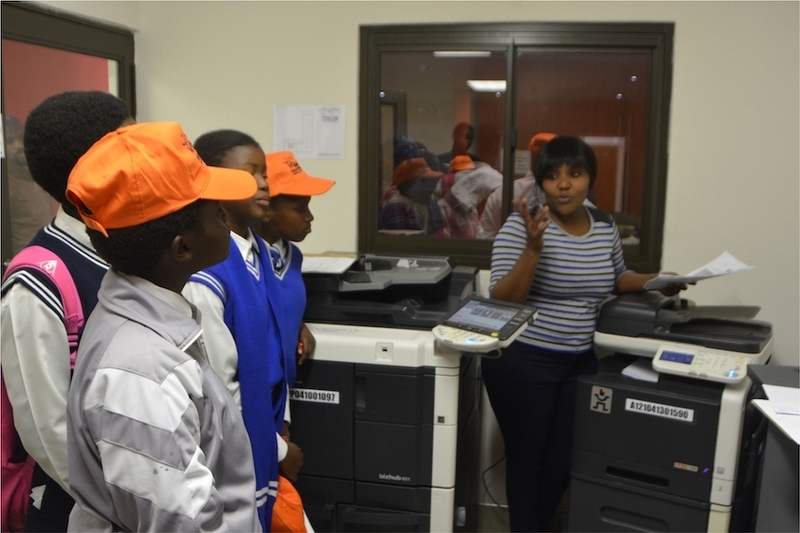 These Grade 9 pupils were given a demonstration on how to use a fax machine. They were interested in taking up Office Administration as a career.